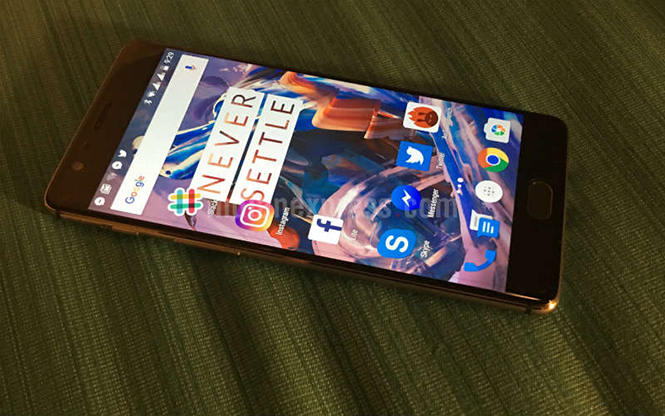 OnePlus 3 Review: Is it Ready to compete iPhone 6S, HTC 10, Samsung S7? OnePlus is a renowned Chinese smartphone maker that entered the mobile manufacturing segment in the year 2013. Though the company is new in the market but with its quality product has garnered worldwide accolades and now OnePlus is a well established renowned smartphone maker. The company had entered the business with its OnePlus One smartphone and as the handset was equipped with all major qualities of a good smartphone, the product became a hit all across the globe. The overnight success of OnePlus One increased the expectations from the company’s later products but unfortunately the OnePlus 2 and the OnePlus X failed to meet the users presumption. The failure of both the products expanded the pressure on the OnePlus to come up with a product that will have the qualities and capabilities to take on top-level smartphones from the leading manufacturers such as Samsung, Nexus or Apple but at the same time will also be available at reasonable price. The OnePlus with the motto to meet the aforesaid expectations and to regain its former glory in the smartphone market has come up with the latest smartphone that has been named OnePlus 3. In this blog, we are going to verify each and every pros and con of this latest smartphone by OnePlus. We have deeply introspected the OnePlus 3 from a user point of view and have gone through every minute detail so that we can provide the truest information regarding OnePLus 3 that will ultimately help the readers to vindicate their verdict on this latest smartphone in India. 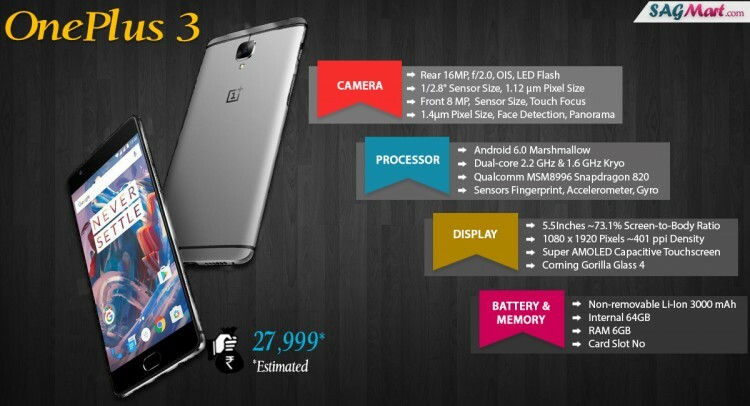 OnePlus 3 smartphone has been launched in June 2016 and the handset is priced Rs. 27,999 in India and is available on Amazon for purchase. This latest smartphone in India comes with a 5.50-inch touchscreen display with a resolution of 1080 pixels by 1920 pixels. The OnePlus 3 operates on Android 6.0.1 and has been powered by a 3000mAh non-removable battery. The device measures 152.70 x 74.70 x 7.35 (height x width x thickness) and weighs 158.00 grams. The OnePlus 3 has been powered by 1.6GHz quad-core Qualcomm Snapdragon 820 processor and it comes with 6GB of RAM. The phone packs 64GB of internal storage that cannot be further expanded. On the camera front, the OnePlus 3 packs a 16-megapixel rear camera on the back and an 8-megapixel front camera for selfies. The OnePlus 3 is a dual SIM smartphone that has connectivity options of Wi-Fi, GPS, Bluetooth, NFC, 3G, 4G LTE . The top smartphone sensors on the smartphone include Proximity sensor, Ambient light sensor, Fingerprint, Accelerometer, and Gyroscope. As we have gone through the superficial details of OnePlus 3, now we are going deep to analyze everything about this smartphone. Is the price justified for OnePlus 3 ?? As OnePlus 3 was riding on a lot of expectations from a lot of consumers who badly wanted a good smartphone at a more affordable price. The price of Rs. 27,999 is just good enough for the amazing specifications that have been incorporated in the smartphone. At first look, specifications and price do give an upper hand to OnePlus 3 over other currently available good smartphones. The smartphone has 6GB of RAM and Oxygen OS which is based on Android Marshmallow and with this RAM the device supports as many as Apps as required without slowing for even once. The handset dump and download as much data as you want and never let you down with the speed. The OnePlus 3 has top-of-the-line Qualcomm Snapdragon 820 processor that features two 2.2GHz cores paired with two 1.6GHz cores and an Adreno 530 GPU and has been coupled with the titanic 6GB RAM is enough to please even people obsessed with processor and RAM. The gradual Switching between apps and games is damn fast but the performancOnePlus 3 Review: Is it Ready to compete iPhone 6S, HTC 10, Samsung S7e glitched a bit while switching between three heavy games as it took the more time to load after the switch. Overall on the software front, it can be said that the OnePlus 3 is heavily equipped to act as a threat to leading smartphones such as Samsung S7, HTC 10. 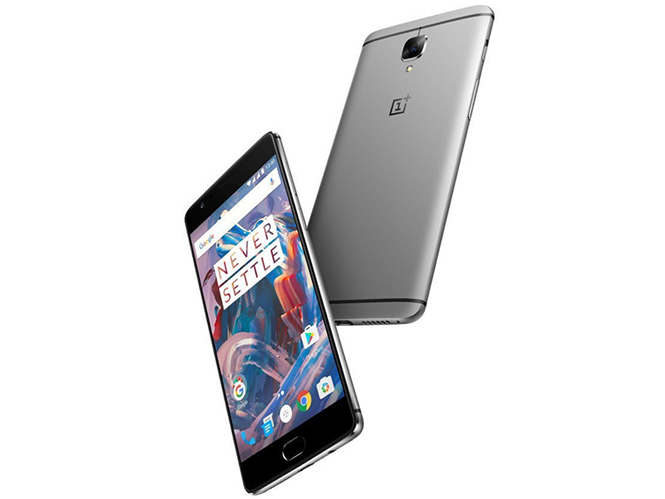 The OnePlus 3 is an ultimate gorgeous looking smartphone that sports an all-metal unibody design carved from a single slab of space-grade aluminum alloy with curved edges on the side. The device has the thickness of 7.3mm which is impressive as it packs a lot of power inside along with a 6GB RAM unit. The OnePlus 3 comes with a 5.5-inch 1080p Optic AMOLED display, the screen may not sound to match up with latest Samsung Galaxy S7 Super AMOLED but is still one of the best out there as it is a variation of the Super AMOLED display but with lesser temperature and color tone. OnePlus has gained the same with software adjustments that mean OnePlus 3’s display will be able to go close to Galaxy S7’s capability but at the same time use up less power and give better battery life. So, there is no doubt that videos and pictures are a delight for the users on the 5.5-inch display. The OnePlus has been creating a lot of fuss and big claims that the OnePlus 3 has been incorporated with a Quick Charge or Fast Charge that can charge the smartphone in half an hour that is capable of giving a day’s power. In fact, the company has a tagline stating “A day’s power in half an hour” and which has been made a selling proposition. But on this part, the company claim is not justified because in normal usage the battery do last for a day but under heavy usage it ditches the users. The battery performance on the device is just OK but never expect it to carry throughout the day if you are a heavy user. 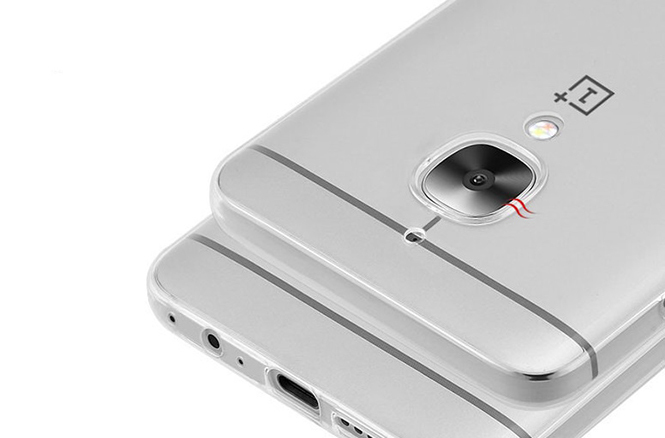 However, OnePlus has tried different power optimizations to draw the best out of 3,000 mAh lithium rock. The company has facilitated the Dash charge that essentially takes the phone’s 3,000 mAh battery from 0 to 60 percent in just 30 minutes. We must know that dash charge is only possible with the adapter that comes with the smartphone and not with any other adapter. As we know that Dash Charge carries more current than other charging solutions, and at lower temperatures, by shifting the power management process from the phone itself to the Dash Charge adapter, so a vast majority of the heat generated while charging never reaches the device. The camera in the smartphone appears substantial with 16 Megapixel rear and 8 Megapixel front cameras but while testing the camera performance the result was really disappointing. Although the Android camera app of Google has been added with features like slow motion, manual, panorama and time lapse but even these failed to provide optimal image quality. The only advantage is the next-gen optical image stabilization that can help capture distinguished colors but just not good enough to match the image quality of Samsung Galaxy S7, HTC 10 or the iPhone 6S. For selfie lover, the front camera is disappointing as it did not offer a wide-angle view for selfies. The other interesting aspect of this latest smartphone in India is the 360-degree fingerprint sensor which is blazing fast but wet fingers are a problem. Other plus points of the OnePlus 3 are adaptive brightness, ambient display, home screen and screen-off gesture controls and custom icon pack support along with connectivity options of NFC, Bluetooth 4.1 and WiFi support. The smartphone has no expandable memory and you have to be content with the internal storage of 64 GB. The OnePlus has also brought out a few extra accessories with this mobile handset that includes snap-on rear case in variations of carbon, bamboo, rosewood or black apricot, a sandstone case, a flip cover in black, gray or sand, a tempered glass screen protector, a Dash Charge USB Type-C cable, a dash charge power adaptor and a dash charge car charger. But one need to buy these accessories separately. Overall we can say that the OnePlus 3 is the affordable flagship smartphone with top class specifications, design, and look. The only major flaw is its battery life that must be improved, which is expected to happen with the next installment of OnePlus 3. One can say that with this smartphone OnePlus is back in the market and is an alarming note for Apple, Samsung, LG and HTC. We just hope that the review about OnePlus 3 in the blog will help you decide about this latest smartphone and will answer all the questions regarding this top smartphone by OnePlus under 30k. If you have any suggestions regarding the blog, please put that in the comment section and one can also do forward his/her views and queries regarding any other smartphone, we will be more than happy to assist you in all possible ways. Must Visit Our Facebook Page For Latest And Updated Smartphone News.